NEXT | Breakfast Topic: Are you going to BlizzCon? Oblivious Films has returned with, appropriately enough, another episode of The Grind Returns — this time, featuring a nemesis every World of Warcraft player who has been playing for any length of time is well acquainted with. That’s right, patch day. I like The Grind and it’s sequel, The Grind Returns because the characters are all representative of players, including that guy — you know that guy, that one joyously gleeful maniac who runs around like an idiot and has ridiculous amounts of fun no matter what he’s doing. He’s pretty much my favorite character from the series. 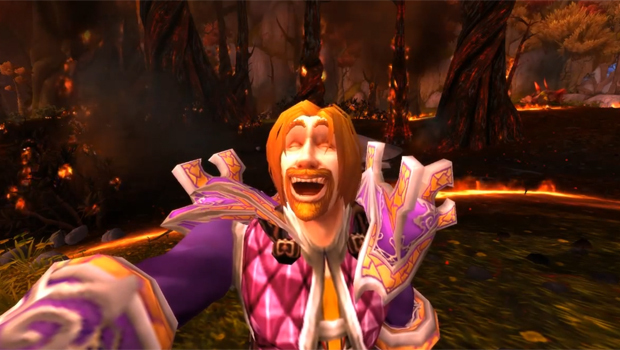 It’s not so much a story-based machinima set within WoW as it is commentary on WoW itself as a game, and the characters are players just trying to go about the business playing the game. The Grind first debuted five years ago, only making it’s return in the last couple of months, and the updated character models work exceptionally well with a comedic series like this one. The voice acting is pretty solid, but honestly it’s the last minute or so of the machinima that really made me crack up, because this is all I’ve been seeing since 6.1 came out. Take a look at the video below, and if you like what you see, you can catch previous episodes and much more over on Oblivious Films Youtube channel.